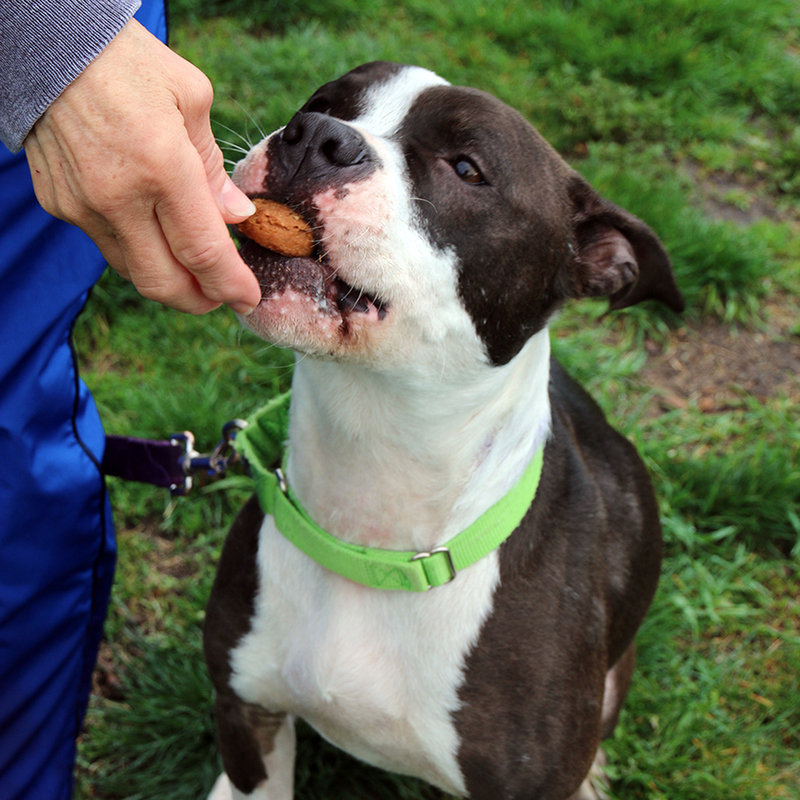 Our classes use positive reinforcement to teach dogs how to problem solve and make good decisions on their own. They promote positive, trusting relationships and effective communication practices between you and your canine pal. "We've taken three classes with Angela and Lowell, and we loved them all! Abner got excited when we pulled into the HSHV parking lot, and even more so when he saw Angela and Lowell. Classes were engaging and useful, for both humans and dogs; it was clear they put a lot of thought into them. When we had questions (or, let's be honest, complaints) about Abner's behavior and lack of impulse control, Angela and Lowell consistently made excellent suggestions, offered with a good dose of humor and common sense. 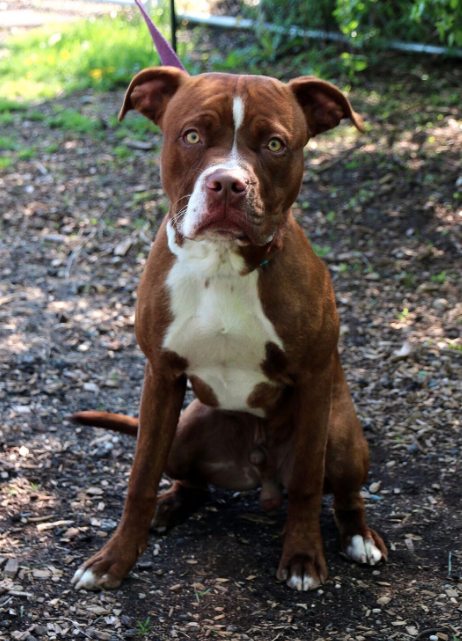 Abner has turned into an amazing dog, and I attribute this in large part to the classes and good advice for out-of-class work that Angela and Lowell provided us." "My hope for my beagle mix, Chula, was to get her comfortable enough around others dogs that we could successfully have my son's dog come and stay with us. After taking the Reactive Rover class, and learning the techniques to help Chula feel safe, we saw a great improvement. Chula has learned to relax and enjoy the companionship." "In your classes, you taught us what motivates and drives our little black ball of fur, gave us the tools to train him and to set boundaries. It is amazing what a long way we have come over the course of Puppy Preschool." "Kathy was always willing to go the extra mile, and was kind enough to stay after classes to answer any additional questions that students might have. Her knowledge, enthusiasm, and patience went a long way towards helping me establish a learning relationship with my puppy. There were plenty of good exercises and information in the class, but Kathy always made a point to answer questions from owners in a way that was tailored to their own puppy. I have seen a huge improvement in Mina over the past couple of weeks, and Kathy deserves a lot of credit for patiently teaching me how to interact with my puppy." "Along with teaching him the basics of obedience training, I'm especially thankful to Angela and Lowell and this class for giving me the tools and the confidence to help guide him through unknown situations as well as ones that we know will trigger his fearfulness, such as thunderstorms. As a result, he has become a more confident dog than he once was and for that, I will forever be grateful." "Angela and Lowell are very passionate and knowledgeable about dog training. They promote positive reinforcement in training, which is crucial for all dogs, especially timid ones like our dog. Angela and Lowell were well-prepared for every session and provided lots of opportunities to practice techniques taught in class. In particular, I appreciated their many ideas and 'tricks' to reinforce what they taught as I worked with Lucy both in class and at home. One important aspect that I took away from their class is to have fun training our dogs. 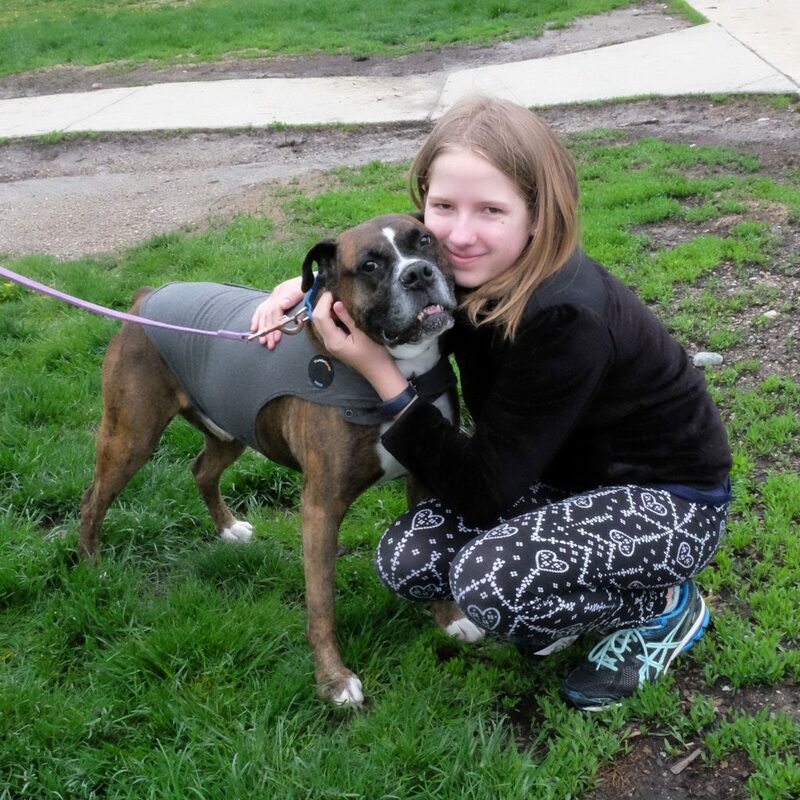 Witnessing Lucy's better behaviors has definitely proven rewarding." What training methods does HSHV use? We only use methods that are recognized and supported by the top training experts in the field of behavior modification and learning theory. Our training classes are all progressive, science-based, positive reinforcement techniques that are proven effective and reinforce (versus damage) the canine-handler relationship and bond. What training methods does HSHV not recommend? Any kind of punishment-based, corrective training, such as training that involves choke chains, prong collars or leash corrections. These methods are not science-based, humane or effective. Do they work? In the moment, yes. But they are painful, unnecessary and damaging to your relationship with your dog. These techniques also fail to produce long-term results and require that you forever painfully correct your dog. They give the illusion of being effective because they work in the moment (through instilling fear) but in terms of long-term change and progress, they are completely ineffective. Since these techniques aren’t humane, necessary or effective in creating long-term change, we don’t use them! Our rule of thumb: If it doesn’t feel good to do and your dog isn’t excited about it, we don’t do it! What sets HSHV dog training classes apart from other dog training? Most dog training classes teach owners how to control their dog in class, and teach a few predetermined commands. However, owners often leave without the in-depth knowledge on how their dog thinks, learns, and feels, which is required for a successful, happy relationship. Our classes actually teach owners to understand how their dog processes thought and learns from his environment so that guardians can continue their learnings after they leave the classroom. Our classes welcome the distractions that will help them apply the commands they learn to real-world experiences such as going to the vet, walking through the park, or having guests over. Our classes simulate those real-world experiences so that owners leave feeling confident that they know how to control their dog during highly distracting and difficult times. Too often we hear people say “Sure, they did it in class but then guests came over and he couldn’t focus!” Well, no more! Our classes focus on these type of difficult distracters so owners feel confident and excited about training in all situations! Sign up for the waitlist for your particular class, and we’ll notify you when the next class is starting. We were told not to use treats when training. Do you use treats? Yes! Gone are the days of training with the “Because I told you so” mentality. This was recommended by trainers back when we knew very little about canine learning and motivation. Using the “because I said so” mentality when training is like someone telling you to work without a paycheck “because they said so.” Does it work? Maybe – if you punish enough when they do not offer the behavior. But it’s not the best and most clear, humane training style. Dogs learn and are motivated in the same way we are. The way to get the most reliable, trusting and obedient dog is through a system of teaching them to earn what they want in life through being attentive, well behaved and offering a behavior when their owner asks. To do this, we use food, toys or praise as a motivator to encourage dogs to happily, and quickly, give us the behavior we’ve asked. Another benefit: this motivates dogs and reinforces our relationships with them. Will my dog always needs treats to listen? The opposite is actually true. We use a great system to help teach handlers how to use food when teaching a behavior but then slowly, and effectively, wean off using food. Using our system, behaviors will be more reliable and you won’t have a dog who only listens when you have food or when there are no distractions. Similar to how children in kindergarten classrooms get stickers for making good choices, doing good things and listening to the teacher, we use treats in the learning phase to increase motivation and create good behavioral habits. However, by 6th grade, our kids no longer need stickers for cleaning up their toys. We know now that dogs learn in very similar ways and by accommodating their learning style, we create more trusting, reliable dogs. What if my dog is reactive in class? All of our classes are designed with the safety and comfort of all dogs in mind. For everyone’s sake, dog reactive dogs, must first take Reactive Rover course first, and then be approved by a trainer to take other class offered at HSHV (including basic manners or agility). Reactive Rover includes dogs that growl, excessively bark or lunge at or in the presence of other dogs. If your dog must be removed from a class due to aggression or reactivity, there is a $35 cancellation charge. We will, however, either refund the remainder of your payment, or credit you the remainder and place you on a waitlist for a Reactive Rover class. If you have any question about which class you should be in, please first contact a trainer before you sign-up. Dogs who are reactive towards other dogs are often in a heightened state of stress the entire time during a traditional training class. Those dogs cannot learn effectively in a class with up to 10 dogs while they are lunging, barking and growling at other dogs in the area. Reactive dogs can also make learning difficult for dogs near them who are being barked or lunged at. This is why we offer Reactive Rover classes which are small classes with no more than 4 dogs at a time. The small learning environment and state of the art, science-based training curriculum ensures that reactive dogs will get what they need and that the rest of our classes can remain calm, safe places for those dogs who do not struggle with reactivity. We thank you in advance for welcoming this great, low-stress model for running canine classrooms. Regardless of where your dog falls on the scale, he/she will thank you as well. Can my spouse/partner/child/roommate/etc. attend class with my dog and me? Yes, the more the merrier! We welcome, and encourage, any and all family members to come. Training is an activity that should be fun for the entire household! The number one most important thing for puppies is that they are socialized to as many things, places and people as possible. Once puppies reach a certain age—around 4 to 6 months—their ability to easily accept new experiences begins to wane. For this reason, we promote early and positive socialization and strive to give owners the tools to help their puppy grow into happy and well adjusted adult dogs. During this 4 week social hour, we will work on play time, socialization, body handling and working on basic skills like coming when called. We’ll also help you problem solve having a puppy at home. The sooner the better when it comes to socialization so puppies are welcome to join from 10 weeks through 5 months of age (with two rounds of vaccinations). This class is a great start while you are waiting for your puppy class to begin or as an extra play outlet while you are in class! Is Puppy Socialization for me? 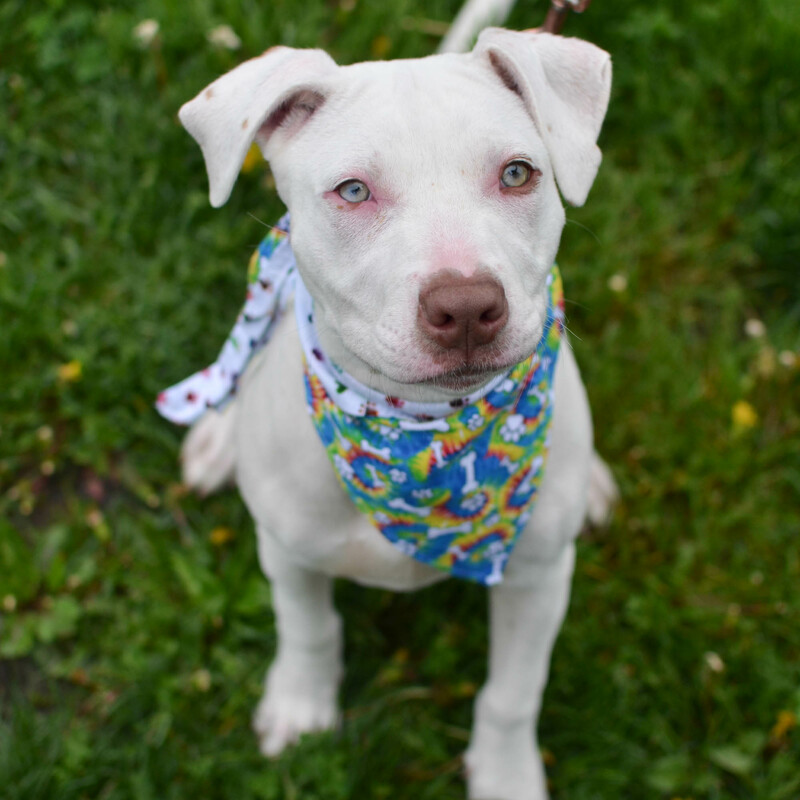 Is your puppy 10 weeks to 5 months of age (with at least two rounds of vaccinations)? If so, this class is for you! Age appropriate distemper (minimum of 2 doses at least 2 weeks apart) and rabies (some puppies may not have received the rabies vaccination yet) vaccinations are required and vaccination history needs to be presented to trainer at first class. Bordetella and Canine Influenza vaccinations are recommended but not required. NOTE: REFUNDS FOR REGISTRATION will only be given up to 7 days before class starts. This class is offered on Tuesdays 4:15-5:10 p.m. by Jane Wolff. The class runs for 4 weeks, and the fee is $100. Please see registration link below for upcoming dates. Registration for June classes will open early May. Class you want closed? Get on the wait list. 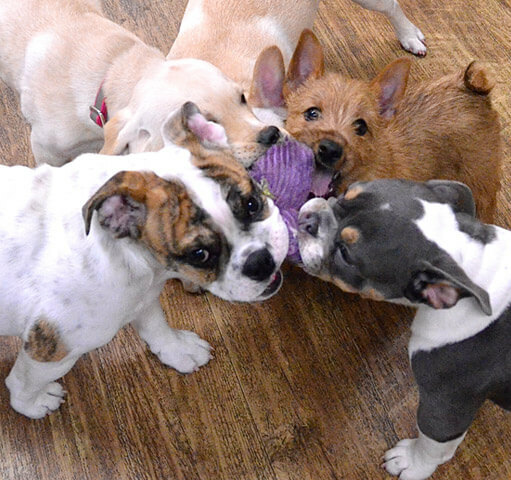 In puppy class, we go over the best ways to meet your puppies basic needs in a way that makes everyone happy. This class teaches how to provide outlets for normal puppy behavior and how to manage and control inappropriate behavior such as jumping, chewing on shoes or nipping hands and legs. We help you understand the importance of and be able to implement management strategies to prevent unwanted puppy behavior such as hard mouthing, potty accidents and chewing on inappropriate items. Is Puppy Pre-School for me? Is your puppy 10 weeks through 6 months of age (with at least two rounds of vaccinations). If so, this class is for you! Age appropriate distemper (minimum of 2 doses at least 2 weeks apart) and rabies (some puppies may not have received the rabies vaccination yet) vaccinations are required and vaccination history needs to be presented to trainer at first orientation class. Bordetella and Canine Influenza vaccinations are recommended but not required. This class is offered on: Mondays by Angela and Lowell, Wednesdays at 8:15pm by Jane Wolff, and Saturdays at 11am by Angela and Lowell. The class runs for 6 weeks and the fee is $149. Please see registration info for class dates. Registration for July/August classes will open end of May. Basic Manners teaches people how to maintain control of their dog through safe, positive, on and off leash handling. Everyone has seen the dog who behaves in their home but struggles out in the real world when they see another person, dog or squirrel. Basic class teaches handlers how to keep their dog focused and in control even the most highly distracting environments. Basic class teaches people how to motivate their dogs to be excited to work for and with them in all situations. It’s the difference between having a dog who only listens when you have a treat or force them and having a dog who can’t wait for you to give them a command. We teach people how to naturally motivate their dogs to love working for their owners in all situations. NOTE: Basic Manners is not for dogs that are extremely dog reactive. Dogs who lunge and growl at other dogs may need the Reactive Rover class. Does your dog need to work on basic manners, such as sit, loose leash walking, greeting guests, coming when called, or stay through distractions? Is he or she 6 months or older? If so, this class is for you! Current distemper and rabies vaccinations are required and vaccination history needs to be presented to trainer at first orientation class. Bordetella and Canine Influenza vaccinations are recommended but not required. This class is offered on: Mondays by Angela and Lowell, Tuesday at 5:15pm by Jane Wolff and Saturdays at 9 am and 10 am by Angela and Lowell. The class runs for 6 weeks and the fee is $159. Please see registration info for class dates. Registration for July/August classes will open end of May. Do you have a dog that is PEOPLE-FRIENDLY, but exhibits on-leash reactivity, such as barking and lunging, when he or she sees other dogs? Does your dog become stressed, uncomfortable, or over-aroused in the presence of other dogs, and do you have a hard time keeping your dog calm and focused when other dogs are around? This may be the class for you! Reactive Rover classes will help you understand your dog’s reactivity, and will give you methods for managing and modifying it. 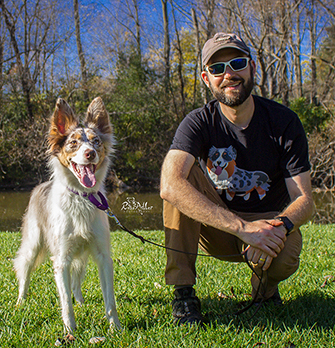 We solely use positive methods and work at each dog’s individual level, so that over time we can change the dog’s emotional response to his or her “triggers.” Our goal is to help you teach your dog focus, impulse control, and relaxation, so that walks and outings can be more fun and less stressful for you both! For reactive dogs who do not fit into a Reactive Rover class, we would recommend consulting with an in-home trainer first. Please feel free to contact us for recommendations at angela@harmonyk9.com and we can refer you to someone who can help. This class is offered on Tuesdays at 6:45pm and 8pm by Angela and Lowell, Wednesdays at 5:45pm and 7pm by Jane Wolff, and Saturdays at 7:45am by Angela and Lowell. The class runs for 6 weeks and the fee is $235. Classes are full for this session. Waitlist enrollment for May/June classes will be opening in April. Waitlist Enrollment. An email to register will be sent in the order of waitlist sign up. Agility is a fun, interactive sport for dogs of all breeds/types, sizes and ages. It builds and enhances your relationship with your dog, helps both of you communicate more effectively, increases attention span, focus, confidence and attentiveness; expends mental and physical energy for your dog; and so much more– all while both you and your dog have fun learning the agility apparatus. This class is for all levels where dogs learn to gain confidence on and master the obstacles in agility such as jumps, tunnels, chutes, tippy board, tire, weave poles, etc. The equipment is adjustable to meet the needs of all, particularly in the learning/early stages when the equipment starts out “downscaled” so that learning/training is gradual and most of all SAFE. All ages, including vaccinated puppies are welcome to come and play. Dogs progress at their own pace and handlers work to their dogs level. Dog & handler safety is of paramount importance. This class is for dogs who are comfortable being around other dogs. If your dog barks, lunges or growls at other dogs please sign up for Reactive Rover as a pre-requisite for agility. 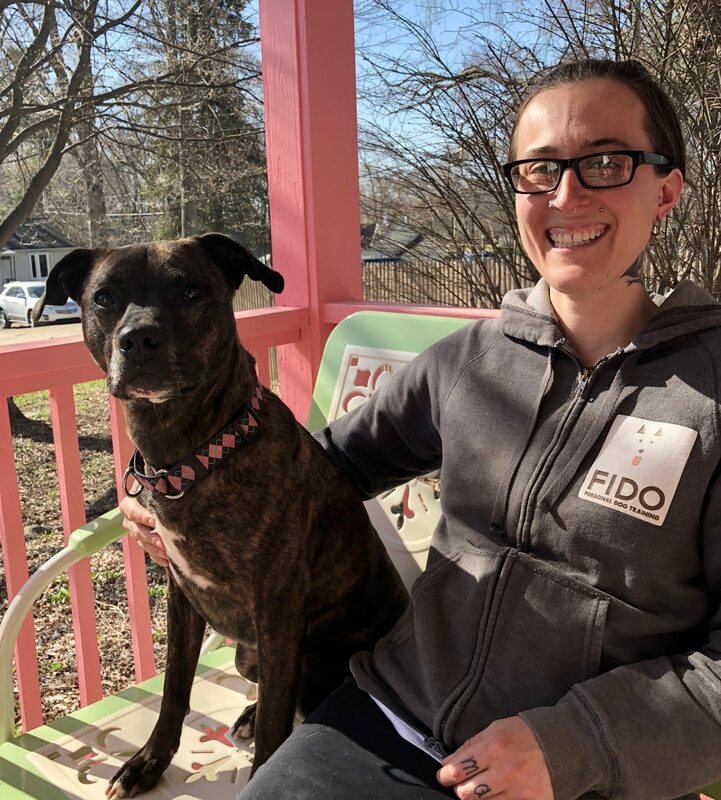 Angela loves helping dogs overcome fear, anxiety, and reactivity, and to help owners to better understand their dogs, using force-free methods and positive reinforcement that make training enjoyable for both people and dogs. Angela is a Certified Professional Dog Trainer - Knowledge Assessed, and an active member of the Association of Professional Dog Trainers. Lowell is a Certified Professional Dog Trainer and Certified Dog Behavior Consultant who has been working with multiple species for dozens of years. In addition to dogs, he has trained warthogs, reindeer, emus, donkeys, goats, fish, and chickens. He loves helping people get what they want out of their dogs and helping their dogs get what they want out of their people in a way that is agreeable to all! Kathy has over 20 years' experience in dog training, relationship building and dog sport competition. 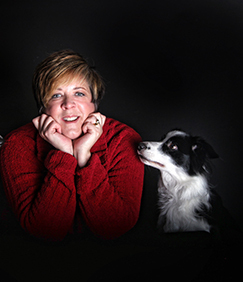 She enjoys helping people select and train their adopted pups to create a great relationship and ``get off on the right paw.`` Kathy serves on the Board of Directors of the Great Lakes Border Collie Rescue and serves as a mentor to foster parents and adoptive families. Jane Wolff has been working with dogs professionally since 2014 and is certified through the Certification Council for Professional Dog Trainers as a Certified Professional Dog Trainer – Knowledge Assessed (CPDT-KA). She graduated with honors from The Academy for Dog Trainers (CTC). 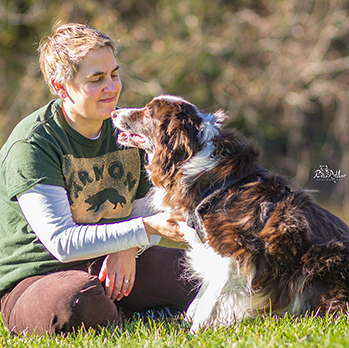 Jane loves working with dogs and their people and loves teaching, especially puppy and leash reactive dog classes! Jane also specializes in treating separation anxiety and is a Certified Separation Anxiety Training (CSAT). She lives in Ann Arbor with a goofy, deaf cattle dog named Indy, and three very sweet and sensitive pit bull mixes named Nina, Asha and Gomez.